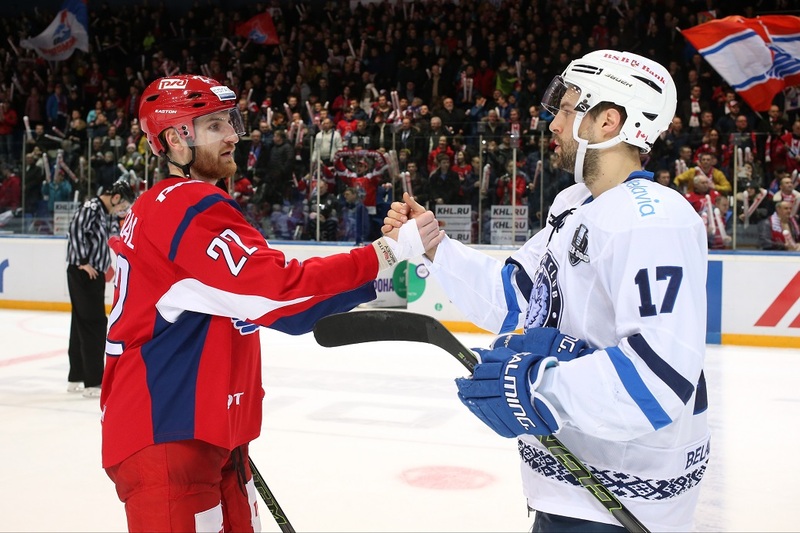 KHL.ru continues its pictorial chronicle of the IX season of the Championship. Today we present the work of our finest photographers to illustrate Dinamo Minsk’s fortunes over the season. The collective from the Belarusian capital was one of the eight sides which qualified for the post-season but suffered a first-round elimination, but there were still plenty of reasons to smile: the team has the best support in the entire League (average home attendance: 13,230) and their charismatic Canadian coach put together a team which can be formidable, disciplined and highly entertaining. In 2014, Craig Woodcroft joined the coaching staff of the Belarus national team, as an assistant to Dave Lewis, and when Dinamo Minsk failed to reach the 2015-16 playoffs and parted company with head coach Andrei Kovalyov, Woodcroft made the logical leap to the club which provides the core of Team Belarus. The Canadian specialist swiftly became a fans’ favorite, not least because he is anything but dull. His colorful personality and his post-match comments – emotional, impulsive, but always heartfelt – greatly enlivened his time at the club. 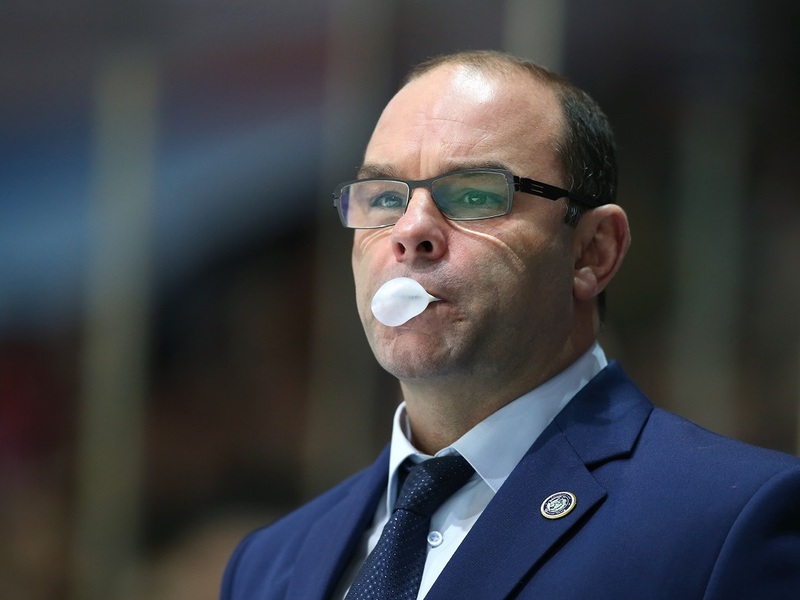 All good things come to an end, of course, and in June of this year it was announced that Woodcroft’s assistants were on their way out of Minsk, and the head coach himself soon followed them out the door. As with the season before, it was the team’s foreign legion which led the scoring. However, in the 2016-17 campaign, the personnel were almost entirely new. Of the previous year’s vintage only Matt Ellison remained. The 33-year-old Canadian was the team’s leading scorer with 49 (16+33) regular season points, and added two goals in the playoffs. As for the defense, it was one of those new arrivals, Canadian Marc-Andre Gragnani, who shone the brightest throughout the campaign, and he even matched Ellison’s total of 33 assists. This is not to say, of course, that the home-grown players were left in the shade. It turned out to be a breakthrough season for 22-year-old defenseman Evgeny Lisovets, whose 19 (7+12) points made him the second most productive D-man, bettered only by Gragnani. Moreover, Lisovets was the only Dinamo player to appear in all 60 matches of the regular season. 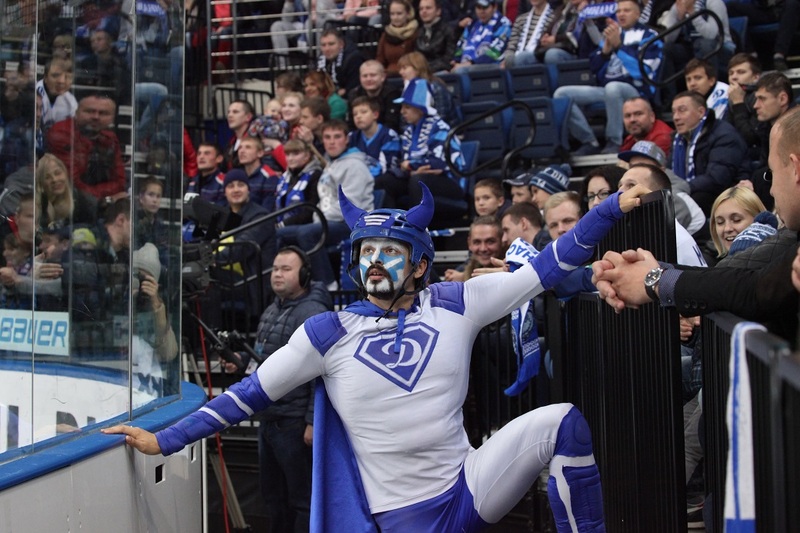 And the biggest surprise of the season was the form of 35-year-old forward Alexander Materukhin, who set a great example to the younger players and recorded 22 goals – more than any other Dinamo player, and the highest total of Alexander’s five-year KHL career..
Of course, we cannot cover Dinamo Minsk’s fortunes without a special mention of goaltender Ben Scrivens. A few eyebrows were raised when Craig Woodcroft claimed the former Maple Leafs, Kings, Oilers and Canadiens netminder was the best in the world, but he is certainly one of the most exciting to watch. At his best, the 30-year-old Canadian seems close to justifying the head coach’s praise, but he is prone to occasional but heart-stopping mishaps. 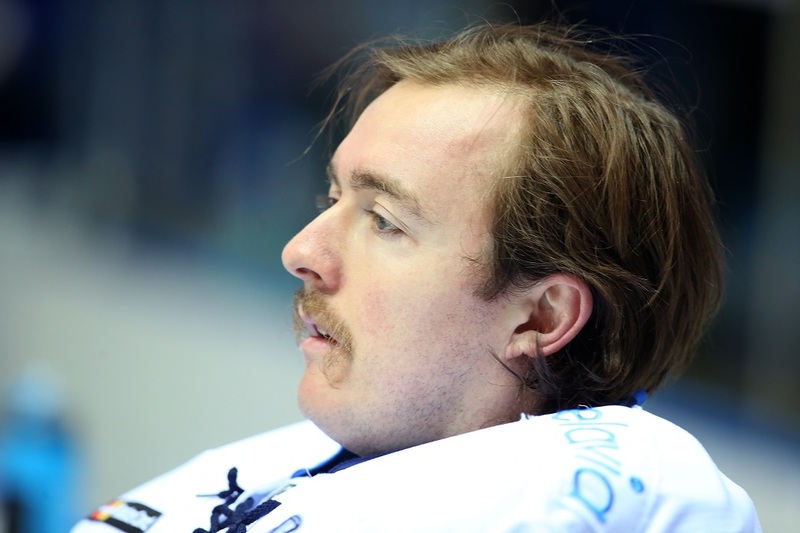 Nonetheless, Scrivens played in 55 of a possible 60 regular season games, helping his team to victory in 28 of them, and he appeared in every playoff match. 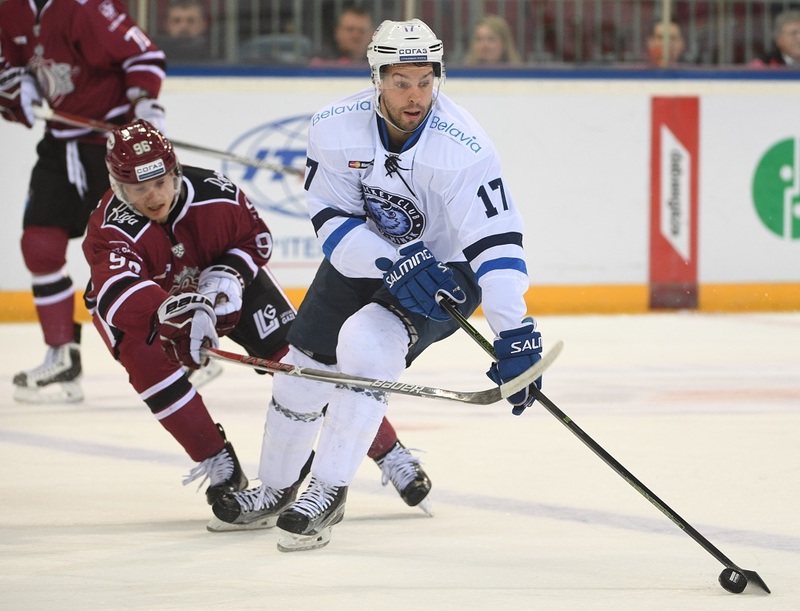 Woodcroft’s men ended the season with a tally of 171 goals - only SKA, CSKA and Metallurg Magnitogorsk scored more – and many of Dinamo’s games turned out to be high-scoring thrillers. 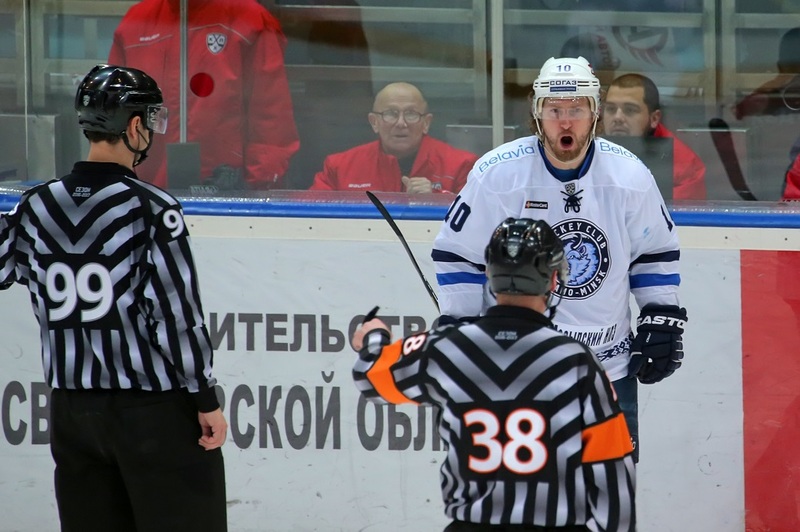 There was no such thing as a “typical” Minsk match during such an up-and-down season, but by way of example, on the 30th of October, the fans in Podolsk were treated to 15 goals as Vityaz inflicted a 9-6 defeat on Dinamo. 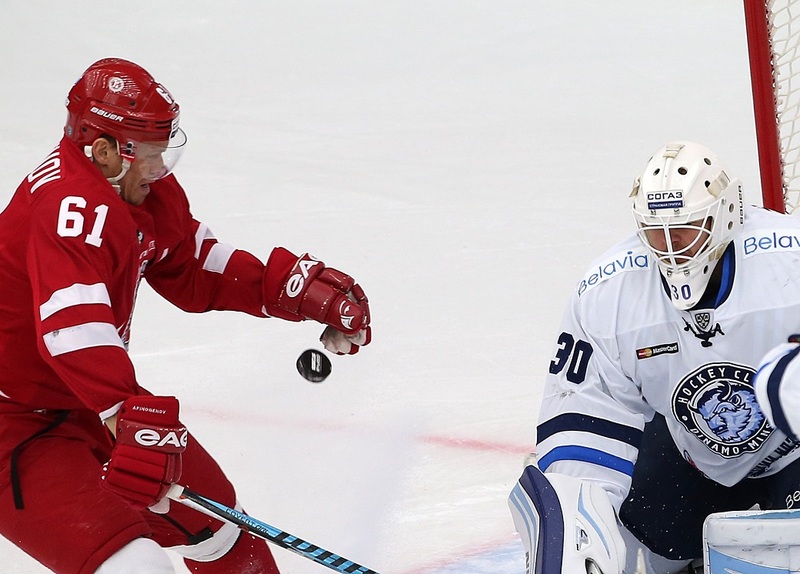 The regular season was a real roller-coaster ride for the Minsk Men, with long purple patches alternating with extended losing streaks, but when they reached the home straight they produced an impressive sprint to finish fifth in the Western Conference. In the first knockout round, however, they encountered Alexei Kudashov’s Lokomotiv team, which at that time was running at full steam. 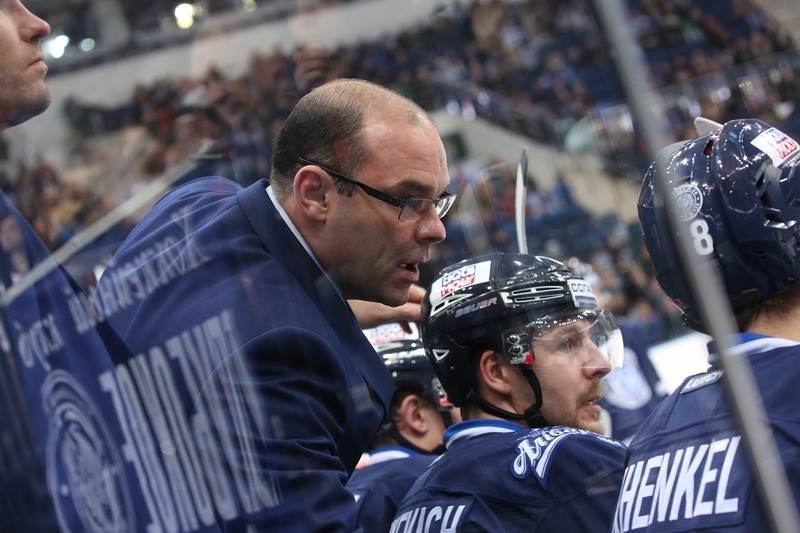 Dinamo’s post-season lasted all of five games. 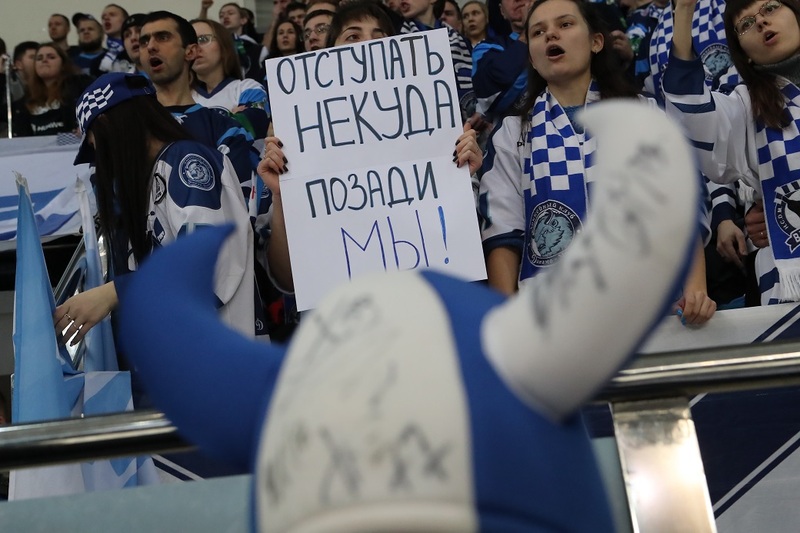 However, there was one constant source of good cheer: the passionate and loyal support from Minsk’s army of fans. Speaking of cheers, Dinamo’s troupe of cheerleaders has earned a reputation as one of the finest in the League, and before the home game against HC Sochi our photographer captured the scene when the girls were getting ready for the game.